"This year we are going to draft and adopt a new strategy for the development of the Russian Arctic up to 2035. 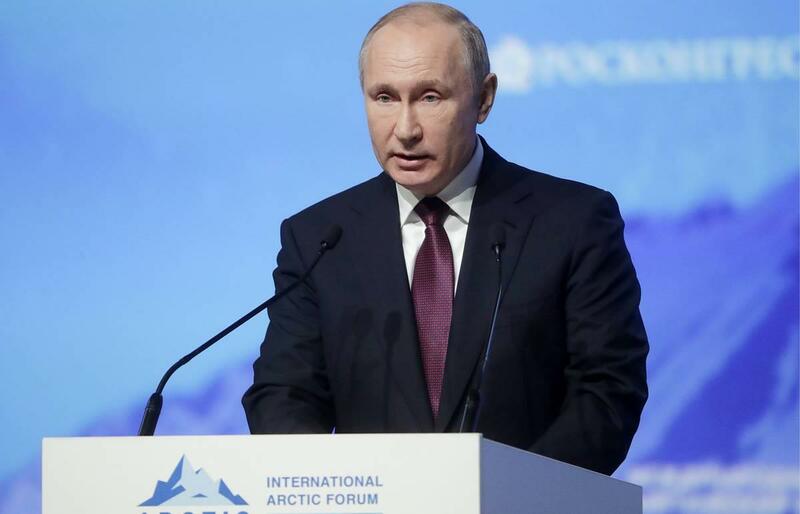 It is to combine measures stipulated in our national projects and state programs, the investment plans of infrastructure companies and programs for developing Arctic regions and cities," Putin said at the 5th International Arctic Forum. He underlined that the government will pay special attention to the development of the transport and other infrastructure, which paves the way for future investments and business initiatives. In particular, Putin noted that Russia will keep developing the global transport corridor, including the Northern Sea Route, a shipping route running along the Russian Arctic coast. According to Putin's address to the Russian Federal Assembly, Russia is expected to significantly increase the volume of freight traffic along the Northern Sea Route to 80 million tons a year by 2025. Foreign investors are welcome to join in the exploration of the shipping route, Putin said. "We invite our foreign partners to work together on the creation of hub ports at the end points of the route. I am referring to the Murmansk transport hub and port infrastructure in Petropavlovsk-Kamchatsky," he said. Considering the Arctic's peculiarities, Russia will provide investors with "more advanced and more stable preferences", according to the president. Putin said he had instructed the government, experts and business representatives to draft a special federal law on a special system of preferences for investors in the Arctic zone as soon as possible for the State Duma, Russia's lower parliament house, to approve at its autumn session.